An update to Windows 7 released yesterday has given a strong clue that a final release of the first service pack for the operating system isn't too far away. 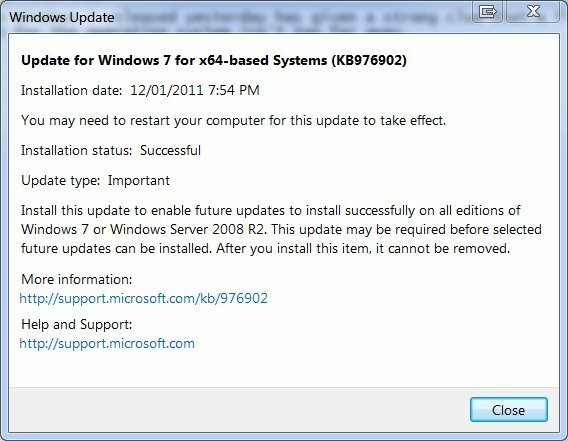 According to a Microsoft support page, the imaginatively-named KB976902 (Windows 7 and Windows Server 2008 R2 installation software feature update) makes changes to the operating system's servicing stack, needed to install and remove software updates, language packs, optional Windows features, and service packs. ''This update is necessary to successfully install and to remove any service packs to all versions of Windows 7 and on Windows Server 2008 R2,'' the page reads. As Neowin forum user +TCLN Ryster pointed out, the very same update was required for installation of beta and release candidate versions of Service Pack 1, which would suggest that a finished version of the service pack is nearing a public release. 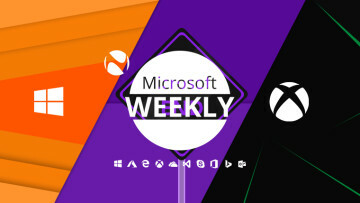 Microsoft has promised that SP1 would be made available in the first half of this year. 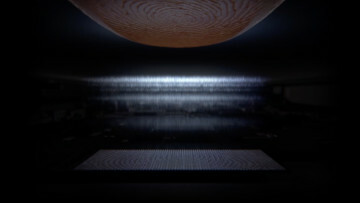 A public beta was released in July last year, followed by a release candidate in October. Some Neowin forum users have reported that the update only appears after installing all other available updates and checking again after a restart. Along with various bug fixes, Service Pack 1 will bring dynamic memory support to Hyper-V in Windows Server 2008 R2, allowing administrators to pool all memory available on a physical host and dynamically distribute it to virtual machines running on that host as needed. RemoteFX will add enhanced desktop virtualization aimed at giving remote users the same experience as those sitting at a workstation. 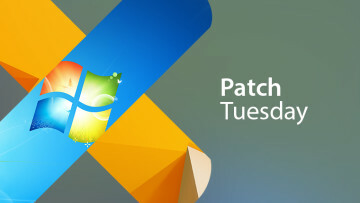 Given Microsoft's fondness for releasing service packs on either a Monday or a Tuesday - Windows Vista Service Pack 2 and Windows XP Service Pack 3 were both released on Tuesdays, XP Service Pack 1 on a Monday - the soonest Windows 7 Service Pack 1 is likely to be available is January 18. Businesses can continue to use a blocker tool released in November last year until they are ready to deploy Service Pack 1.